Continuing on in our home tour, we are getting comfy in the living room. This is a space that is used by all of us on a daily basis and it is really important to get this space right. 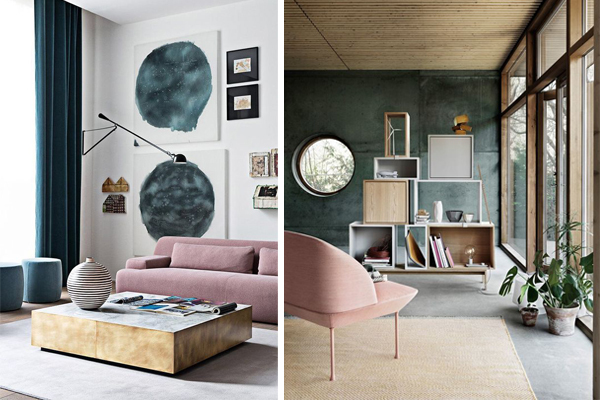 Whether you love a minimal contemporary feel or an eclectic mix it must be comfortable for you. While, I agree that you need to get longevity out of a design sometimes its fun to stay on trend and embrace current design styles. Pink is playing a key role in this at moment and we are just loving it in the study. This is a subtle but fabulous style statement and can be introduced in a very simple way. For a more in-depth look at this gorgeous shade, check out one of our recent posts here. 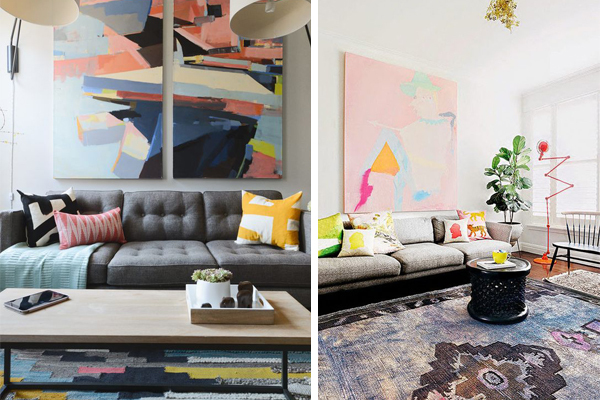 One of the easiest and effective ways of making a statement in your living room is with art. While this is a very personal thing and needs to be selected carefully, I would always say the bigger the better. 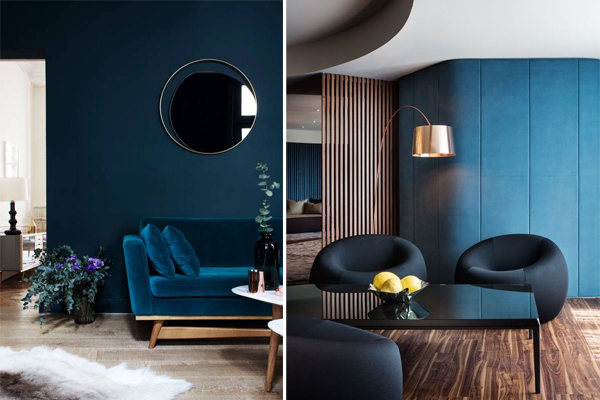 Moodier and darker tones have been embracing us for the last few years and it is the likes of interior design Abigail Ahern would brought this style to the forefront. 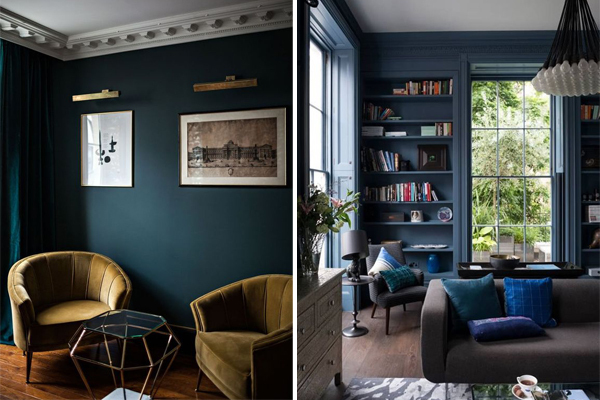 Using darker colours in your home can add warmth and comfort, so don’t be afraid to move to the dark side! 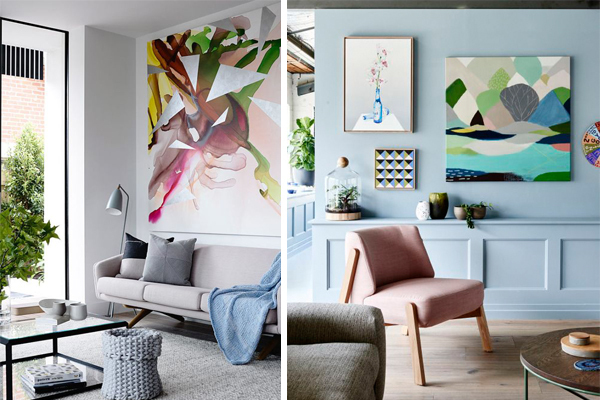 If none of the above are your thing and you love a more contemporary interior, with clean lines, the I would suggest to bring this style to life with some colour. 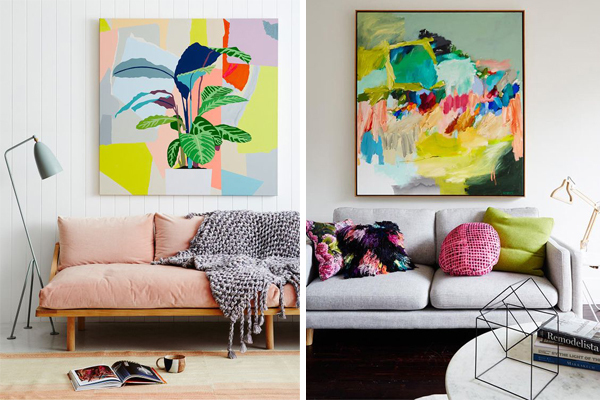 Keep the space light and airy with pops of colour can really pack a punch in the style stacks. I hope that I have gotten you thinking and that you will embrace some of this years must have trends.